There is less than 24 hours left to help fund Comics Comics #1!!! Check out this amazing looking Kickstarter here and support this project. Backed with the talent of Patton Oswalt, Rose Matafeo, Sam Jay, and many other talented comedians. 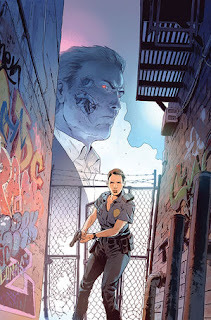 The Terminator: Sector War #2 - How the hell did I miss the first issue when this came out?!?! A Terminator mini-series penned by Brian Wood?! Thanks to a retweet from the Dark Horse twitter account I was alerted about this series yesterday morning. I quickly added both issues #1 and this issue to my pull list and this series is an absolute blast. It seems that a second Terminator was deployed in 1984 to New York City in pursuit of Lucy Castro. The first two issues amount to one incredible chase sequence, a solid body count, and a Terminator that won't give up in his pursuit to prevent the birth of Castro's future child. Apparently he is instrumental in the future resistance to the machines and the Terminator is pulling out all of the punches in order to prevent this child from ever organizing against them in the future. This series pulls on all of the right nostalgic heart strings and is a lot of freaking fun. Cannot recommend this one enough. If this continues to entertain like the first two issue I will need spin-offs in Texas, Minnesota, and across the globe. 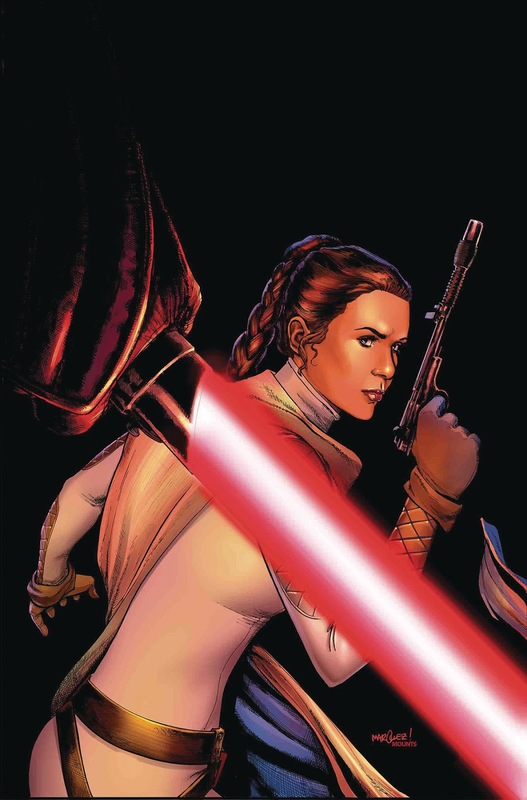 Star Wars #54 - War is imminent as Leia and some rebels make a desperate gambit to secure jump codes right under Darth Vader's nose. The highlight was Leia hijacking a Tie-Fighter to escape only to learn that without a pilot's helmet there is no way for her to communicate with the X-Wings she needs to rendezvous with. Fortunately there is a little thing called the Force and her twin brother and her are both strong with it. This was a thrilling end to the current arc and a much larger war is impending. When the rebels jumped to safety I had some Battlestar Galactica vibes, which I quite enjoy. 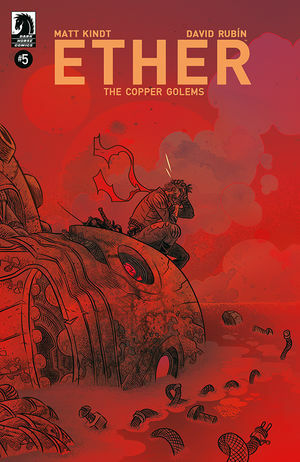 Ether: The Copper Golems #5 - The second book in the Ether universe has come to its depressing end. Boone was able to successfully close the final portal and save earth, but it carried with it a massive cost. This series has been a trip from the beginning and for some reason this is the issue where I really started to feel for Boone and his desire to travel to the Ether. I never considered what he was sacrificing in his pursuit of knowledge and I am even more intrigued about Book III and what Matt Kindt and David Rubin have planned for this bizarre universe. This ended definitely makes me want to go back and read Book I and Book II back-to-back in preparation of what I think is the final chapter.